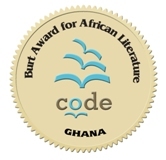 The Burt Award is organized in Ghana by the Ghana Book Trust and CODE (a Canadian NGO, which helps children to learn by supporting libraries, teacher training and book publishing in developing countries). Actually this announcement is almost the same as the one I later found on the GBT website, so I do pay credit as it is due. To be frank the three prize winners were not totally a surprise as two of them had indicated to me late in 2011 that they were in the running. The question I ask as a book buyer: where in Accra can I buy these titles? I have been a rather frustrated librarian/information professional over the last few days. I attended a workshop at the Balme Library (University of Ghana, Legon) and although there was wifi, and the signal was good, I wasn’t able to access the internet. OK, I admit that this is probably due to some configuration on my own laptop, but on the other hand I did notice that others participants also had problems accessing the web. And for a workshop on web-based software, that was a definite issue. I had sort of anticipated that this could be an issue so on Day 1 I brought my Airtel/Zain modem. On the local radio stations here in Accra, one is constantly hearing that Airtel now has an ultra high-speed 3.75G network. Well, as a user, I have yet to see it. Certainly at Balme Library – on one of the upper floors – I didn’t have a good enough signal to even get onto my home page! Even in the area where I live, the signal is so-so: good in the mornings, especially on Sundays, and not terribly useful most of the rest of the time. Have I been able to do any browsing during this three day workshop? Well, the answer is no, not really. Again, no 3G and even the 2G allowed only minimal browsing on my phone, and almost none on my laptop. Sigh. I end on a plea to the telecom operators: deliver what you promise! We consumers are not stupid! Discussion/brainstorming on a Literacy manifesto for Ghana takes place – but though I’ve been invited to attend, unfortunately I will be out of the office for more than half the week, so that has to be a pass. But it is very interesting nonetheless, especially as the initiative has come from an NGO rather than a government organization or ministry. For three days I will be attending a workshop organized by CARLIGH and INASP on Open Source Software for Libraries. I am not an IT person, but I feel I should know what is out there to recommend to those who can do all the tekkie side. And if it does get a bit technical, well, who says one can’t learn something new? On a personal note, Accra Book Club will be discussing Alan Bennett’s The uncommon reader, a short comic or satirical novel about reading, public life, the British monarchy and the distractions that books can provide. It should be fun. If I had forgotten that Charles Dickens was born 200 years ago on 7 February 1812, I would not have been listening to the BBC or using Google – both of which are regular parts of my day! There is a special Google doodle – in my view not one of the best ones, but still a doodle is definitely better than no doodle – and the BBC Worldservice and other media in the US and the UK are full of stories related to him. I won’t talk about any of his books – though I have read several of them, but it was a long time ago. Maybe I should consider a re-read or two? So indeed I pay a very small homage to an author whose words “Please sir, I want some more” are on this very day used by Ghanaian politicians and the media when talking about aid. 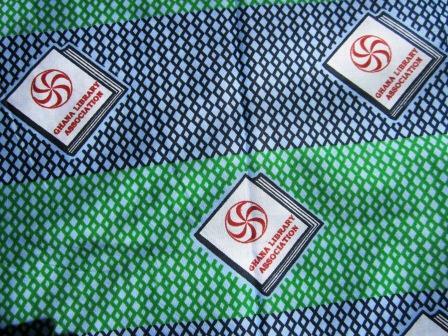 I am a practicing librarian and I try to take part in activities of the Ghana Library Association, of which I am a member. This year is the 50th anniversary of the GLA, which was founded in 1962 – an era when libraries in Ghana were supported not only by government in power, but also by the then President, Kwame Nkrumah. A provisional programme of events and activities has now been released, and I shall definitely be taking part in some, and observing and commenting on others. There aren’t any definite dates and venues yet, but I shall be posting more updates, as I gather more information.